Everyone wants an SUV these days. Not only are they a fashion that refuses to fade, they’re also practical and more comfortable than conventional family cars. What’s stopping you from buying an SUV? If it’s because you’re concerned about running costs, worry not. We’ve compiled a list of the 10 cheapest SUVs to insure, and many of them also return excellent fuel economy without costing a fortune in monthly payments. 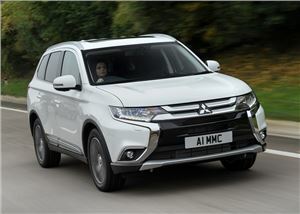 When you think of the Mitsubishi Outlander, the popular plug-in hybrid Outlander PHEV probably springs to mind. But for the majority of drivers, the diesel will be cheaper to run - not only because of its more frugal real-life economy, but also because of its much lower insurance rating. The entry-level Outlander 2 features on-demand four-wheel-drive, dual zone climate control and cruise control. It’s a lot of physical car for insurance group 10. 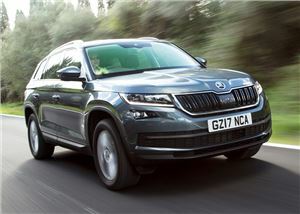 “The Kodiaq is everything a family car should be,” we said in our review of Skoda’s answer to the Hyundai Santa Fe. Not only do we rate the Kodiaq, so do our readers - it won the title of Car of the Year at the 2018 Honest John Awards. It's spacious, safe and well-equipped, and will also be cheap to run. Spec the entry-level 1.4 TSI engine with 125PS and it comes in insurance group 12. That’s the same as much smaller cars such as the SEAT Leon. 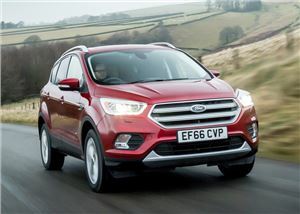 You could argue that the Ford Kuga is a crossover rather than a fully-fledged SUV, but it’s bigger than the Nissan Qashqai and is available with four-wheel-drive, warranting its inclusion here. Opt for the 120PS 1.5-litre EcoBoost petrol engine and you’ll enjoy cheap insurance - but don’t expect it to be particularly frugal. Officially, it’ll return 45.6mpg but our Real MPG data reveals that Ford EcoBoost engines often fall short of their official fuel consumption figures. Look beyond the usual array of SUVs on the market, and you’ll find gems like the CX-5. Not only is the Mazda great to drive, it’s also got an interior that’s as good as premium rivals, and plenty of space. Although diesel variants are popular, the 2.0-litre SkyActiv-G petrol engine is cheapest to insure. It’s a naturally-aspirated unit, meaning it likes to rev more than modern turbocharged rivals, but it should be capable of returning close to its 47.1 combined MPG. 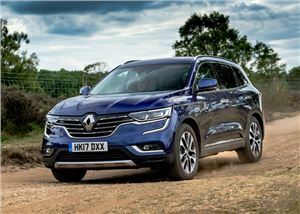 The Renault Koleos is a very credible SUV, with an upmarket interior, good levels of standard kit and plenty of space. If you’re wanting to save money on insurance, you’ll have to opt for the lower powered, front-wheel-drive version. Although a touch on the noisy side, the dCi 130 is a frugal engine that’s easy to get along with. The Subaru Forester is more of a jacked-up estate car than a full-blown SUV, but it is genuinely capable off road. 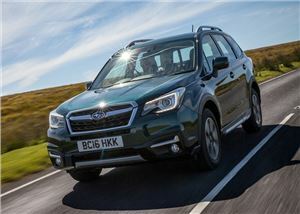 Conventional SUV buyers are better catered for with European rivals, but if you’re after something that will take abuse, the Forester is a sound choice. Opt for the 150PS 2.0-litre petrol engine and it’ll be cheap to run, returning a combined 40.9mpg and slotting into insurance group 23. 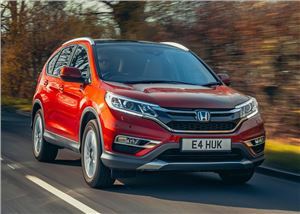 Although not as polished as premium rivals, the Swindon-built CR-V is a dependable SUV available with a wide range of petrol and diesel engines. 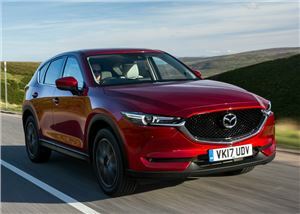 If you’re conscious of insurance premiums, you’ll be looking at the entry-level, two-wheel-drive models with either the 2.0-litre petrol or 1.6-litre diesel engine. We prefer the diesel. 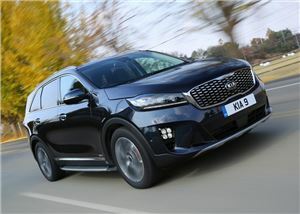 With seven useable seats, the Kia Sorento is an excellent choice for families. There’s lots of space while the interior is surprisingly upmarket, and it represents excellent value for money. 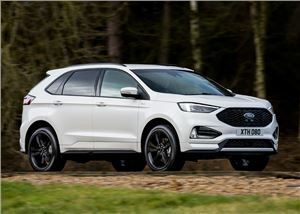 Unfortunately, if you’re after cheaper car insurance, you’ll have to opt for the entry-level KX-1, which does away with desirable features such as the eight-inch infotainment system, cruise control and parking sensors. Does a premium Land Rover badge and cheap car insurance go together? 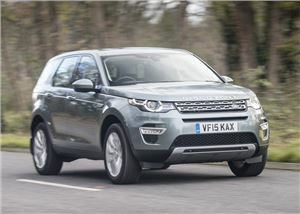 Spec the Discovery Sport with the eD4 150PS Ingenium diesel engine and it slots into insurance group 24 - the same as a Kia Sorento. As well as being cheap to insure, the eD4 returns a combined 49.6mpg and is extremely refined. It’ll even accelerate to 62mph in a not-too-painful 10.4 seconds. The Edge is Ford’s attempt at a premium SUV - and a convincing attempt it is, too. The interior feels solidly built, while the trusty 2.0-litre TDCi engine is refined in both 180PS and 210PS flavours. You’ll want the lower-powered version if affordable insurance is a concern, although both power outputs return 48.7mpg when the smaller wheels are specced.